Join us for this exciting panel of experts from H&M, Fashion Pulpit, Fashion Revolution, and MATTER Prints. 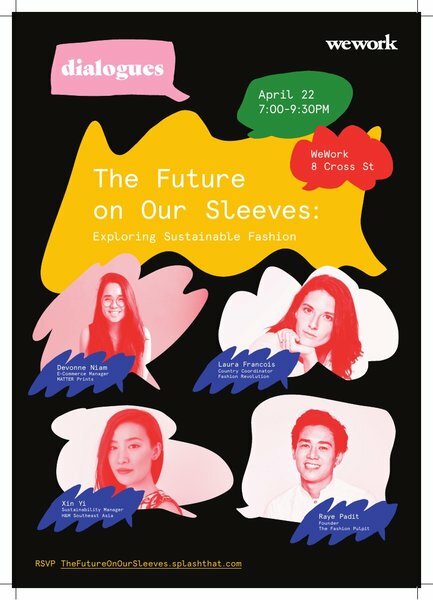 Moderated by Forum for the Future, come hear from sustainable & ethical fashion, and what it means for you and your organisation. There'll also be a clothing swap on the day, so bring your pre-loved clothes and join in the fun. And if you're feeling thirsty, don't forget to bring your own mug or tumbler - free drinks will be served to those with their own.